Located in the heart of Newport News, Bay Custom Auto has been operating since 1981 in the collision repair business. 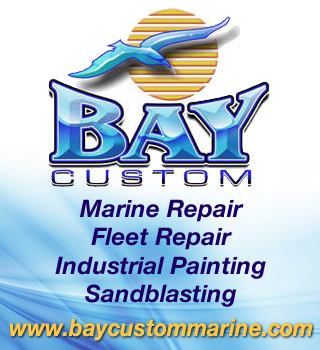 Starting as a mechanical repair business in 1971, Bay Custom moved to its current location in 1981. The original founder, Ron George, built a company based on both integrity and quality. As one of the oldest remaining businesses in Denbigh, the auto body shop has grown and improved every year. Our quality and determination for customer satisfaction is one of the main reasons for our success. Thanks to many loyal returning customers in Hampton Roads, business relationships with local dealerships, and the respect of many insurance companies, we have been able to stay on top of the cutting edge in repairing vehicles. Our main goal is both quality workmanship and customer satisfaction. We believe in repairing automobiles the way that the experts and manufacturers suggest doing it. We specialize in collision repairs of all kinds, large and small, damage free towing, and detailing to make your car look its best. We have electronic frame measuring equipment and downdraft heated paint booths to help return your car to pre-accident condition.